Suite of self-service scan tools. An Assortment of compliance tools will scan eBay listings and extract data for evaluation. Includes tools for finding duplicates, evaluating photos, scanning descriptions, active content, mobile compliance, and more. Suite of self-service CSS tools. 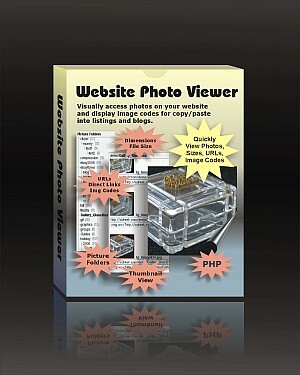 Tools to help sellers build photo displays, tabbed terms, menus, and promo layouts using only CSS. ClicPic creates image galleries for your web page. Drop all your images onto the template and a single click resizes and compresses images, creates thumbnail images, and produces a click-to-enlarge picture gallery. Extremely simple to use. RainBow color picker makes it easy to find just the right HTML color. Use RainBow, the rainbow color picker tool, to find the right color combination for your web page, and give you the correct code. RagTag Tag Counter checks your HTML code before you post it. RagTag will check your file for extra brackets or unmatched HTML tags. Displays a formatted list of your code tags and results so that you can clean up problem code before you post it. TagBot makes it easier to find and edit the commonly changed data in an HTML template. The program comes with ready-to-use templates, or designers can add special codes to their templates to display relevent data in edit fields. The remainder of the code is hidden and only the important information is displayed for changing. Recommended by template designers. Having trouble locating photos on your own server? Install this program on your server and access your photos through your browser. Displays directories, photos, sizes, and image codes for your listings. Requires: PHP. Easy installation. Need help? More info? Just ask. Personal Image Hosting (coming soon). If you have a standard website (or want us to set up one), this tool will convert a separate area into your own Personal Image Host. Visual interface is similar to Photobucket. Generates image codes for your listings. Requires: Linux, PHP, FTP, One-time setup fee. Need help? More info? Just ask. Many of these tools create scripts that are no longer allowed on ebay. Don't have access to eBay's fancy listing editor? This online WYSIWYG (what you see is what you get) editor looks a lot like eBay's editor or a standard "Word" editor. Use it to make pretty listings from scratch or to add pictures and change text in your premade templates. The editor will generate the HTML code for you. Practice away at your HTML. Use the starter codes and HTML buttons to jumpstart your template code. Handy find/replace function and color palette for modifying templates. Built in code scanner can help locate some code problems, including codes banned by eBay. Preview and save your code to a file on your own computer. TagBot makes it easier to find and edit the commonly changed data in an HTML template, and this online version is great for Mac users who can't use the desktop version. Includes access to premade templates or can accept custom templates. Popular among template designers. Designers, ask us about installing a similar custom tool on your own server. Use editing fields like this to change the item description or photo in your page. Turn your template into a form filler by tagging your code with ZippySlots. The tool will create right there in your template, making it a snap to update template content. Save and use the created ZippySlots template on your own desktop, online or offline. Perfect for both template designers and auction sellers. Organize your listing in any color with this flexible template builder. Up to eight different types of sections provide one, two, or three columns for description and terms. Photo gallery, specification table, and grid of details are also available. This online border making tool is similar to the very popular PrettyBorders tool, where you can add colored borders of any size with any background pattern. In addition, this tool has form-filler slots for adding text and images to create a complete auction template. Are you using Photobucket as your eBay image host? Easily drop photos into this template maker and generate a beautiful click gallery with your choice of colors. Includes link buttons. Add text and modify titles right on the form without editing HTML. Rotate, Resize, Crop, and Watermark your photos with your seller name or logo image and add a border treatment. The tool also supports some image fixing, including brightness, contrast, and gamma, and maintains a history for undoing all the way back to the original. Rotate, Resize, Crop, and Watermark your photos with your seller name or logo image, all in one batch. Work on 12 photos at once (enough for one eBay listing) and save them all to a zip file at the size you specify. Use this versatile grid layout to merge up to 9 photos into a single composite image for a better presentation in eBay's gallery. Many adjustable formats available. Includes colored borders and translucent watermark that can be placed anywhere on the composite. Have tall skinny items to display? Combine 2 or 3 views into one square image for a better presentation in eBay's gallery. Simple to use. Pizzaz your photos. Make composites that highlight closeups or that inset overall views. Crop and apply an optional feathered border to the base image and float up to 3 additional smaller photos with or without shadows. This online gallery tool will create the HTML code for thumbnail galleries, click galleries, scroll galleries, and eventually cross-sell galleries and thumbnail arrays. The screen is dynamic, and selected gallery configurations and border colors immediately display. Photos must be properly sized and online prior to using. 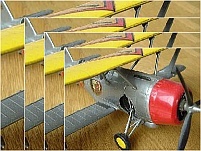 Online Popup Image Viewer code. Click your thumbnails to open larger photos in a Popup Window within your auction page. The captioned window may be dragged around, and the photo can be zoomed larger or smaller for comfortable viewing. Create drop-shadows for your self-hosted images or other square page elements using HTML. No need to photoshop your images. The color tool blends your shadows into your page color. Totally cool! Give your customers the ability to zoom in and see detail in your photos. Perfect for showing hallmarks, inscriptions, coins, and highly detailed items. Display a 360� view of your item that spins when moused over. Shoot eight sides of your item and host the photos online. This tool will create the code to rotate through your photos. Help you find the right URL to use on a website, auction, eBay blog, or eBay chat board when your image host presents you with too many options. Pull all your images out of a webpage to make it easier to find or replace an image. The subscription version of XsellX will automatically update your promo gallery items every night. Set up your search parameters on the tool and let it run. Or set up different search parameters for different product lines. Choose from a selection of static, scrolling, or marquee gallery configurations and define your own colors and dimensions. Designer customizable as shown here. Create a scrolling cross-sell gallery for your auctions or web page. Enter your auction numbers to automatically create a gallery, or use your own thumbnails and links for your store categories. 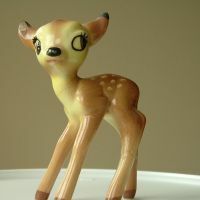 Photos must be properly sized and online prior to using. eBay Quick Sell Grid for Blogs. The perfect cross-sell tool for your eBay blog. Display your most recent auctions in a tidy grid within your blog. Use the free static grid on the XsellX tool. Convert spreadsheet data and images into a tidy array of boxes. Makes a great display of your product lineup. 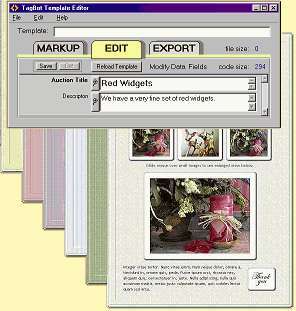 This online border making tool will create the HTML code for nested tables commonly used to create attractive borders. The screen is dynamic, and selected colors and border-widths immediately display. Online Grid Maker for Charts and Tables. This online tool will generate the HTML/CSS code for a multi-celled table. Such tables are commonly used in size/color charts, shipping rate charts, or in terms and conditions. The screen is dynamic and selected colors, fonts, borders, and sizes will immediately update on-screen. Organize your web page. 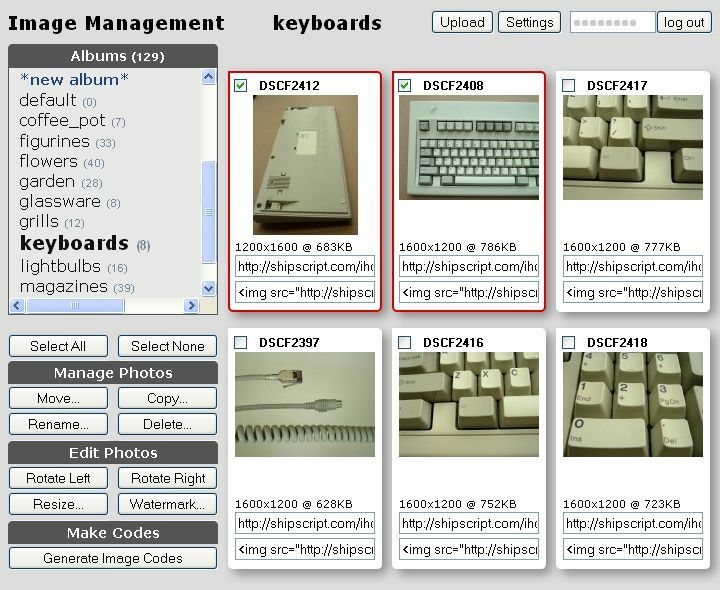 Automatically make tabbed content arranged in index card format. Select any color and an optional tab shape. Quickly create complex dropdown or flyout multi-level menus. Paste your spreadsheet data or use the input boxes to add links and captions for your menu. Create clickable buttons with rollover colors using plain text labels. Easily modify appearance and alignment. Add your own background tiles and the program will add a 3D effect to the button. Special coding prevents eBay keyword spamming. Image Map or Use Map for Navigation bars and Menus. Add clickable areas to an image to create menus and navigation bars. Simple tool creates a clickable map from your existing online image. There are three clickable areas on this image. Can't remember how to make a link? The Quick Linker will let you choose from various styles of links (text or graphics). Just add your destination and your text or online image and the code will be created. Includes easy instructions for beginners. Also an excellent reference page for link styles. Online Color Blender and Color Code Generator. Displays internet color names and hex values and has a rainbow color palette for finding hex color codes or RBG values. Color blender finds all the shades between colors. Create a virtual room to hang your art and paintings in an eBay auction. Rearrange a room full of elements and change the wall colors. Your artwork will be scaled to fit the room. ConchosCorners makes rounded corner images at any color or size to match your template. Make the corners with this online tool and then host them on your own website or image host. Make imageless template corners and tiny icons using only HTML codes. Use Escape-Code Encryption to protect auction templates from casual theft or to prevent codes from being rewritten by code editors such as FrontPage, TurboLister, and eBay's input forms. This script from Concho Software will add no-right-click protection to your specified images without interfering with standard right-click navigation. Hides the Internet Explorer popup image bar and prevents dragging images to the desktop or address bar. Cover your hosted images with a transparent coverup that helps thwart image theft — without obstructing the image itself or imparing navigation. The tool will construct the very simple code for an image.